Experienced Broker/Agent, Homeowner, Investor, Landlord, Property Manager and Realtor. 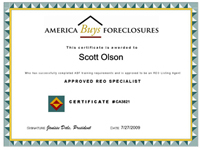 Currently Selling/Managing REO/Foreclosure Properties for many banks, credit unitions and institutional owners. I am an experienced Realtor specializing in serving the needs of buyers and sellers in Sacramento, Placer, Yolo, Solano, and Eldorado counties. Let me put my experience to work for you. I was raised in the Sacramento Area. 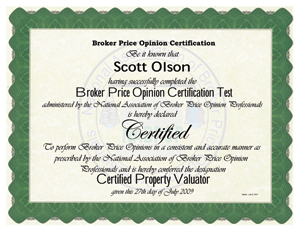 Licensed Local Real Estate Agent since 1996. I own a home and live in Sacramento, CA. 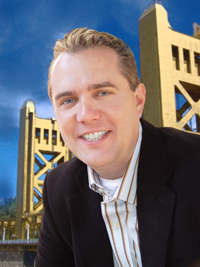 I am active in the Sacramento investment market, by owning and managing Rental property throughout the Sacramento Region. I have experience with Residential and Commercial Property, 1031 exchanges, TIC (tenants in Common) Investments, and can help with Trust Administration. I put my knowledge, negotiation skills, ethics and attention to detail to work for all my clients. Predominately, I work with Investors, Landlords, Owners, and their Beneficiaries and/or Families, to Invest in Real Estate, Grow Wealth, Maximize Cash Flow, Consider Tax Consequences, Meet Goals and Objectives, Determine Exit Strategies, Evaluate Market Conditions, Utilize Trust and LLC Protections/Benefits, and Enjoy Life in the Process. However, I put my skill set to work for all of my buyers and sellers, regardless of if it is their first home, their 100th Rental Property, the assets of their self Directed Retirement Account, or the assets of their/their clients Bank Owned/REO portfolio. Let me help you with all of your real estate needs. Purchasing Real Estate can be complicated, tricky, and emotional. Let me help you make complicated and important Real Estate Decisions. I offer a FREE PORTFOLIO ANALYSIS - especially for investors!